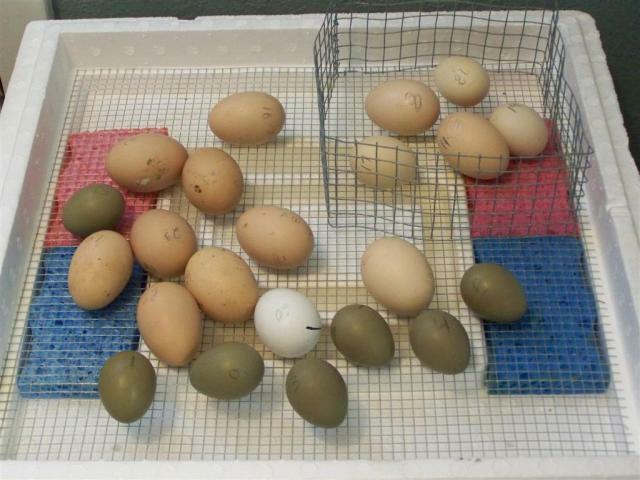 Discussion in 'Incubating & Hatching Eggs' started by marymac, Aug 7, 2009. 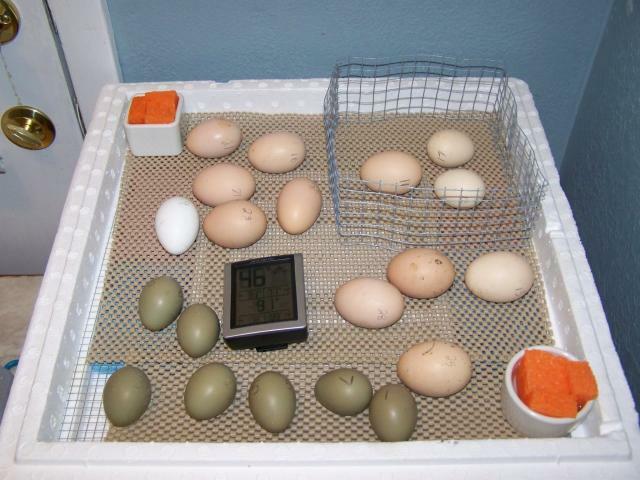 Tomorrow will be day 18 for my eggies. If I don't turn them anymore and am supposed to up the humidity, how do I do a lock down? I've never done hatching before, and all this about lock down sounds confusing. How do I keep the humidity up if I'm not supposed to open the bator to add water? wlhat kind of bator are you using? you can add water through the vent holes with a funnel or a turkey type bastor..
just try to not dump it directly onto the eggs.. Depending on the type of incubator you have, you have to fill all the water troughs up to the top, and just leave it alone. Depending on what your humidity has been running and how often you have been filling the bator with water is how you will have to determine what measures to take to keep the humidoty uo for three days. The easiest way to keep humidity up is to add sponges or clean socks to the water wells in the bator. My water channels leak, so I put a plastic lid from a cottage cheese container right under the top air vent (where the red plug goes, I have an LG) and put a small sponge in it. Then I can pour warm water in right onto the sponge, through the vent hole. And no worries about a chick drowning, there's no standing water, just a wet sponge. Works fine! I keep the hum the last three days between 55%-60%. My climate is very humid, so sometimes when the chicks start to hatch, I have to remove the sponge, or it gets too wet in there. Try as I may I have only gotten my humidy up to 61%. I add sponges upon sponges, I cut the spuntes up and put them in little cups and add water and I can only get up to 61%. I do what I can do and hope for the best. Quote:61% is plenty! I try to keep mine from going over 60%. I'm using a LG. That turkey baster idea sounds good and I should have some sponges . You guys rock!! Thanks for the ideas. Henmaster... I love those dark olive eggs. How did you get them?